Textbook costs for students can be significant, and students report that this cost barrier often has a negative impact on their success. 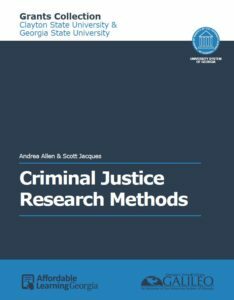 If you are interested in reducing textbook costs for your students by adopting, adapting or creating course materials with an open license or by replacing textbooks with library subscribed content, the Affordable Learning Georgia (ALG) Textbook Transformation grants may be of interest to you. Grant awards range from $2000-$30,000. Read more about this at the RFP. We are currently in Round 11 of these grants, and the proposal deadline for this round is January 22. The Georgia State University Library provides assistance with the grant process and with locating course content to fulfill grant requirements. Additionally, the GSU library coordinates with the Center for Excellence in Teaching and Learning for related pedagogical and instructional technology needs. For additional information or assistance, please contact Denise Dimsdale, ALG Library Coordinator or Laura Carruth, ALG Campus Champion. This entry was posted in For Faculty and tagged Grants, OER, open educational resources, Open textbook, textbook transformation grants, textbooks. Bookmark the permalink.